Grandparents seeking to help grandchildren pay for college costs may contribute in several ways. 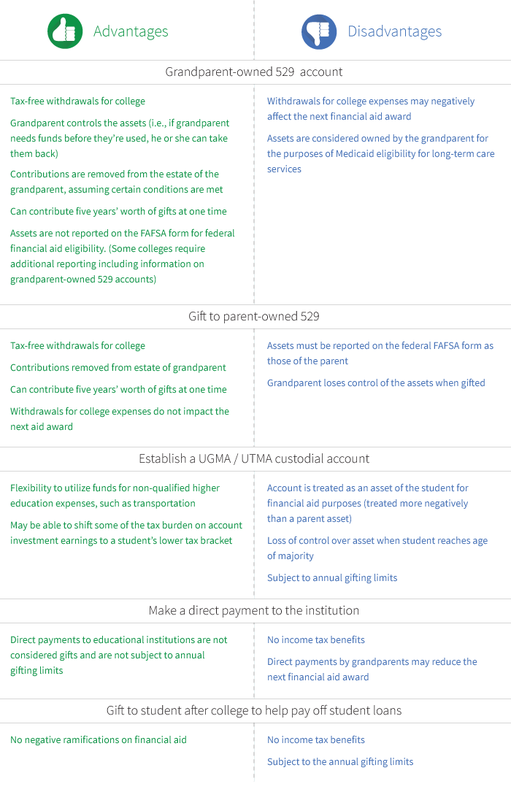 Some accounts, such as a 529 college savings plan, can benefit the grandchild as well as provide a tax benefit for grandparents. The earnings portion of any withdrawal not used for qualified higher education expenses is taxed at the recipient’s tax rate and is subject to a 10% additional tax.